Dusting Concrete Treatment Agent - MUHU (China) Co., Ltd.
It’s specially made for repairing concrete where there’s dust exposure due to weak wearing and abrasion resistance. By spraying it on the surface of concrete directly, it infiltrates into the inner part and forms a three dimensional crystal after chemical reaction with concrete. 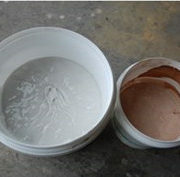 Consequently, it increases concrete strength and hardness, improves anti-wearing ability and brightens surface. It’s easy for application. It’s applied on concrete or cement mortar floor surface to improve strength and anti-wearing ability. Except from the garage, warehouse and residential place, it’s used in underground parking lot, manufacturing factories and bridges. 1.Infiltrating and solidifying: It infiltrates into concrete for around 5-8mm and forms an intact structure after chemical reaction with substances in concrete. 2.Hardening: It improves concrete anti-wearing ability and increases compressive strength by 40%. 3.Dust-proofing: It not only extends concrete life expectancy, but also makes surface easy to clean and maintain. 4.Brightening: It brightens concrete surface and prevents water and oil penetration. 5.It works by infiltration completely, thus is no thick finish. 6.It can be applied on both new and old concrete floor. 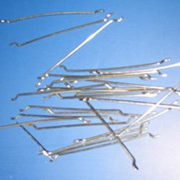 Type II (brightening and sealing): 0.3kg/m2. Clean the floor surface to make sure there is no dirt and visible water. Patch the damaged places with dusting concrete repairing agent (hardening and anti-wearing type) first. Then use high strength repairing materials for touch-up. Afterwards, strengthen and harden the floor again. 2.Spray Type I and make sure thorough absorption. After the surface is dried, spray a second time. Normally, twice or three times of spray is recommended. If there’s severe damage on the substrate, more can be adopted with the interval of 2 hours between each spray. 3.After the concrete floor surface is hardened, spray Type II directly without need of curing. 4.Application of Type II should be at least 24 hours after Type I.